Popular singer, Oluwatosin Oluwole Ajibade, better known by his stage name, Mr Eazi, on Wednesday, November 28, released the official documentary for his latest album – “Lagos to London”. In the documentary, the Banku music singer appears to take the focus away from himself, and show off the people who worked behind the scenes on the project. 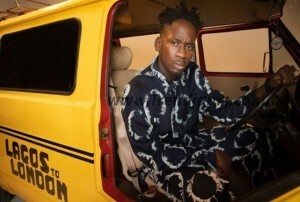 “I want to shed some light on how music is consumed in Nigeria,” Mr. Eazi tells Rolling Stone. That’s where Mr. Eazi decided to leave his job selling pre-owned phones in July of 2016. The trailer also highlights the story behind the cultural evolution of music from Lagos to London through the eyes of trailblazers from both cities.